Almost every other person is hooked on social media these days. Whether they’re checking up on their friends, chatting with distant family members, or following up on their favorite celebrities, people are always checking each other’s status feeds. But after a while, looking at the same old themes, fonts and colors can become very repetitive, and scrolling through feeds becomes a chore, rather than an amusement. Well luckily there’s a great app out there that can help you experience a much better social media than what’s currently out there, and that great app is called lettrs. The lettrs app is everything that you’ll ever need out of a social networking platform. With it, you can design and shape each one of your individual posts, changing its font, color and background pattern as quickly as pressing the post button. This enables people to freshen up their repetitive and boring social media experience, allowing more fun and engagement with each post. 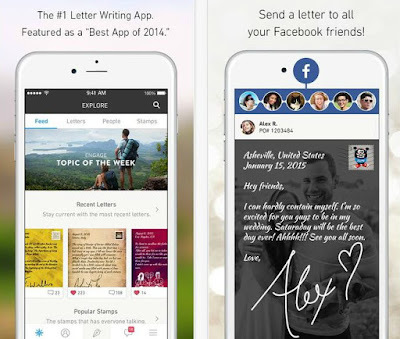 The app’s letter fonts are so unique, you will never find two designs that look the same. Celebrities can also create their own unique autographs that they can use whenever and wherever they want. If you’re addicted to social media, this app is made with you in mind. Stop wasting your time looking at corporate-styled post designs, when you can engage your eyes with a more fun social experience. You can find the app on the App Store.